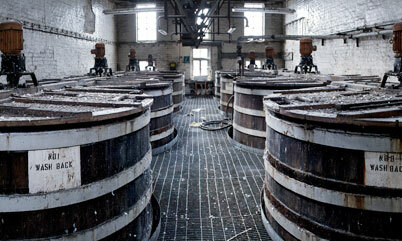 Apparently there have been a few other Rosebank distilleries one time or other – one opened in the late 18th century by a pair of Stark brothers, another popped up in the early 19th century run by one James Robertson – it is unknown if this is the same distillery as the Stark’s. 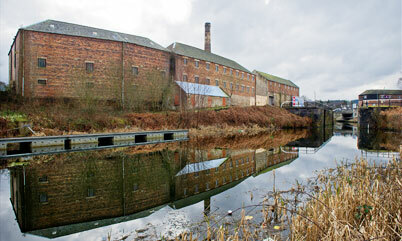 James Rankine built another in 1840, which is the Rosebank we know, built opposite the maltings of the old Camelon distillery across the canal, and now Scottish Canals (who bought over the site from Diageo in 1993) plans to revitalise the area by granting the abandoned buildings a new lease of life. In the works: Rosebank micro brewery. The name,it seems, does not give up the ghost so readily. 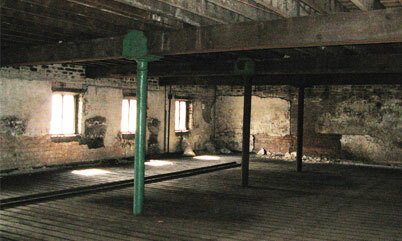 By all means this was a successful distillery, well located for transport, abundant water. 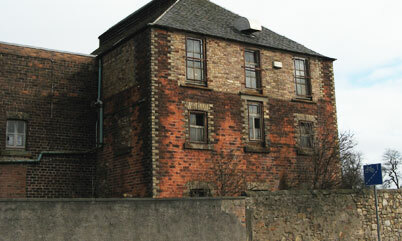 James’ son R.W Rankine rebuilt Rosebank in 1864, and the next year went so far as to demolish Camelon distillery to expand the maltings for Rosebank’s use. The 2 sites were once connected by a bridge. Now the reputation of Rosebank is such that a few urban legends surround it’s ‘grievous loss’ (Michael Jackson). Chief among them is that United Distillers, in considering the lowland entry for their Classic Malts range, chose Glenkinchie over Rosebank not due to the quality of its malt but because Glenkinchie was prettier to the eye and deemed more attractive to visitors, whilst Rosebank bordered on industrial along a busy waterway. The question of quality of whisky is a nebulous one, not to cast aspersions on Glenkinchie’s malt, but enough well-regarded writers have commented on the superiority of Rosebank’s whisky that if anything, one walks away recognizing that there is no smoke without fire. One source (Brian Townsend’s Scotch Missed) claims triple distillation was used in Rosebank for decades, but according to Ulf Buxrud and the DCL archives partial triple distillation, much in the lines of Benrinnes, was used in the 20th century. From here. 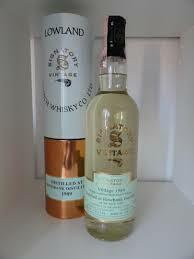 It is a worthy mention that Jim Murray also believes Rosebank was 2.5 times distilled. Alas the facts are lost to history, what you and I have left are liquid testament, at least while stocks last. Nose: Fresh pears and floral! Hugely scented with lots of little white and purple flowers on the kitchen table. It’s a sunny morning, with malt biscuits, cut pears and vanilla custard cream. Also new pine wood and citrus oil wood rub. Palette: Fresh and zesty with lemon and prickly something – white pepper I think. Sweetly malted, biscuits and cream again, and new wood, but now getting sour will these herby dill and caraway flavours. It actually gets more and more sour. Lemony before the finish. Finish: Long, lemon zest and white pepper. Just look how pale and unadulterated it is. On the simple side but so clean and fresh, what you expect when you think refill lowland – it’s not the huge valentines bouquet, its the wildflower on the wall. Simple elegance. This entry was posted on May 22, 2014 by Whiskyrific in Rosebank and tagged Rosebank.